All kinds of Coconut Derivatives. The New Hickory Barbecue Sauce comes straight from the US. 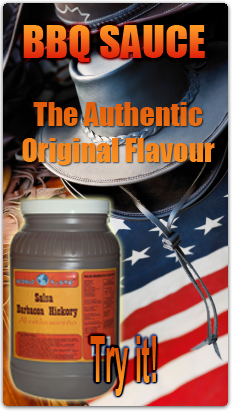 The original Hickory Barbecue Sauce has recently come to Spain from the US. Order it in your favourite restaurant. 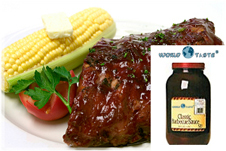 Reddish-brown Smoked Barbecue Sauce, slightly sweet, with tomato and nutshell aroma in a blend of spices. Fantastic to complement grilled meats, hamburguers, potatoes, etc. World Taste is a new registered trademark which embraces those Delta Trading products, unknown some years ago, which are now part of those especial moments we share with our family and friends. 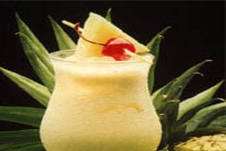 The brand World Taste applies to foodservice and retail, keeping the worldÂ´s highest standards of quality and control. World Taste improves the composition of brand-name products to delight the consumer with the best quality at very competitive prices. Delta Trading is a new company devoted to international trade. We search all over the world for new products that will fit perfectly in our market and we make them available for distribution. On the other hand, we Por otro lado nos ponemos en manos de la demanda exterior para hacer llegar productos y servicios de España al mercado internacional. Nuestra cartera de productos incluye desde productos de alimentación, envases de vidrio, maquinaría de producción, hasta servicios de asesoría internacional (estudios de mercado, planes de negocio…).